Yay! Who's excited to get a Limited Edition Starbucks Philippines Planner 2017?! Both designs are in hardbound cloth covers and are available in 2 different sizes. The regular size which is the size of an A5 and a mini which is just a little smaller to A5 but not as small as A6. 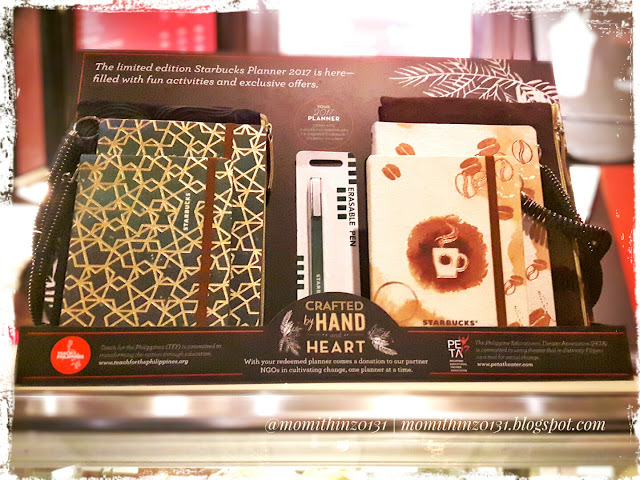 to receive your Limited Edition Starbucks 2017 Planner. 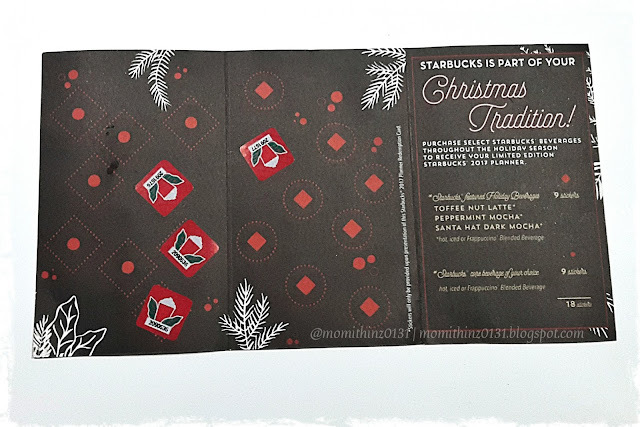 On your next visit to Starbucks Coffee, over the counter you will be asked by the barista if you are collecting stickers for the Starbucks Planner. Just say yes and tell the barista that you don't have any card yet. The barista will then give you a card together with the stickers you earned. But how do you get stickers? Here's how. As you can see in this photo above, the space for stickers in this card is divided into two. Space for stickers on the left are diagonal, and those on the right are round. This mean that there are 2 categories for their drinks. Stickers will be placed on the left side if your order is a Starbucks Core Handcrafted Beverage. 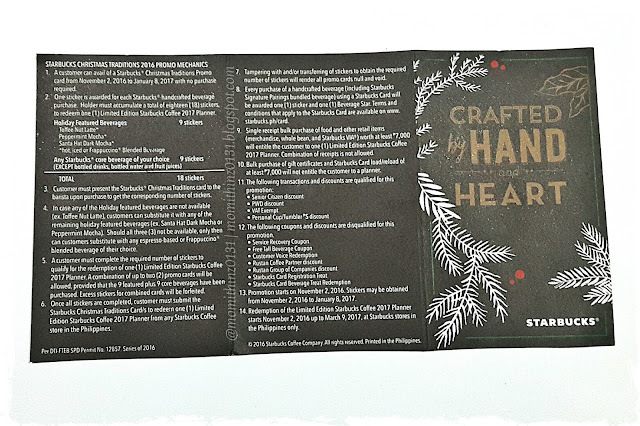 And your stickers will be placed on the right side if your order is one of the Starbucks featured Holiday Beverages. Both can be hot, iced or Frappuccino blended beverage. You will be given 1 sticker for every beverage that you order. A total of 18 stickers is required to get the Starbucks Planner 2017. If you went back to Starbucks Coffee but you forgot to bring your card, it's fine. You can ask the barista for a new card. But! You can only combine up to two cards to qualify for redemption. Also, you cannot transfer stickers to another card. Cards with tampered stickers will not be honored. You can get stickers from November 2, 2016 up to January 8, 2017. But you can still claim your FREE Starbucks Planner 2017 until March 9, 2017 at any Starbucks stores in the Philippines only. 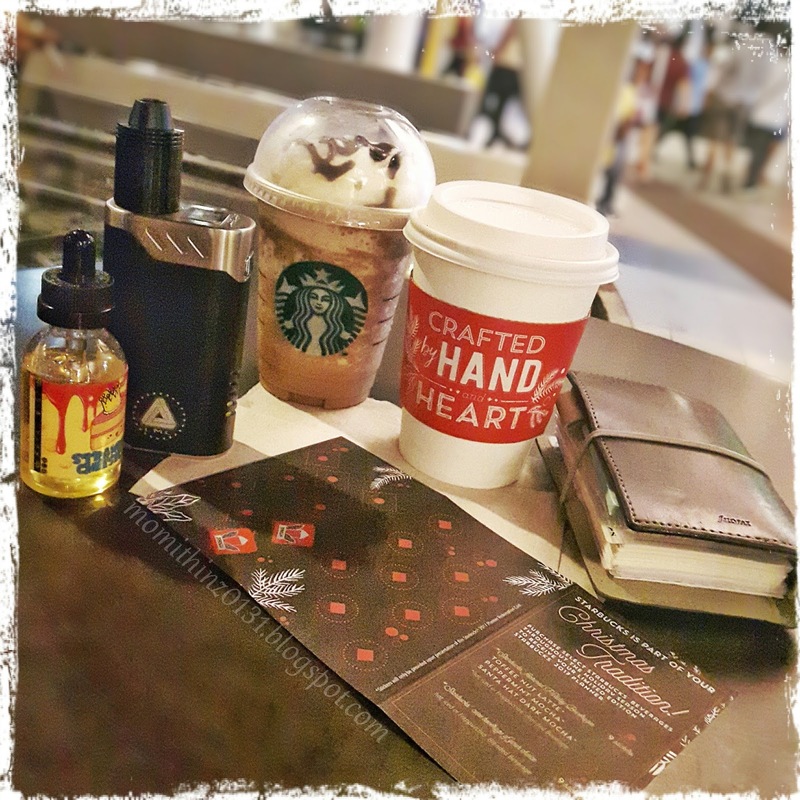 And for our first day of collecting stickers, here's a Mocha Frappuccino for hubby on the left with his @CloudSkyVape and a Hot Latte for me with my Filofax Domino Mini. Ooops, and by the way.. have you heard of "Creative Planning"? Yes! Creative planning, where we use washi tapes, stamps, clips, stickers, and a lot more to decorate our daily, weekly, and monthly spread. Here's a sample of my last week's spread in my Starbucks Planner 2016. And we have a Facebook group! Feel free to join us, click this picture below to get directed. To view full terms and conditions about the promo, you may click this link below. How about you, which cover do you prefer? This is going to be useful for a lot of people. Christmas is just around the corner and people are currently looking for this kind of stuff. Thanks for it. My simple yet delicious Pinoy ulam recipes. How did I get this for free? Wanna practice writing Merry Christmas in brush Calligraphy? 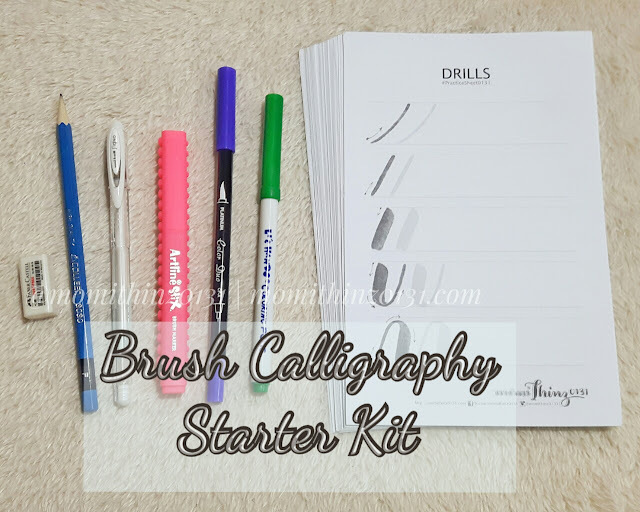 Download FREE printable practice sheets here.